The European Patent Office has granted a third CRISPR-Cas9 patent to the regents of the University of California (UC), the University of Vienna, and CRISPR pioneer of Ph.D., director and scientific member at the Max Planck Institute of Infection Biology, Berlin – Emmanuelle Charpentier. The patent was granted on March 1 but was revealed officially via publication by the EPO on Wednesday. The EPO with Patent Number. 3,401,400 has methods and compositions of using CRISPR/Cas9 to alter DNA and regulate gene activity in eukaryotic cells, including kits to perform such work. Charpentier is listed as one of seven inventors on the patent, along with another CRISPR pioneer the seven inventors are: PhD scholar Jennifer Doudna of UC Berkeley, Doudna’s husband PhD scholar Jamie H. Doudna Cate of UC Berkeley, PhD Krzysztof Chylinski, Pof University of Vienna who was a onetime postdoctoral student of Charpentier, PhD scholar Martin Jinek of University of Zurich, a onetime postdoctoral student of Doudna; Wendell Lim, PhD, of UC San Francisco; and Lei Stanley Qi, PhD, of Stanford University. 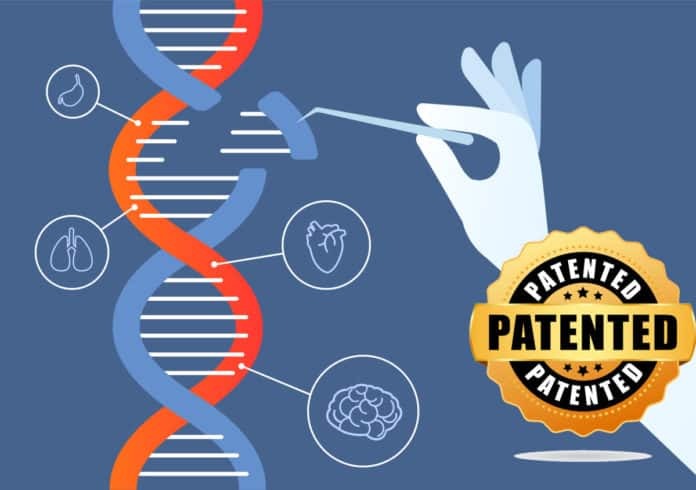 The most recent EPO patent comes weeks after the U.S. Patent and Trademark Office (USPTO) granted UC and its partners a third U.S. patent related to CRISPR-Cas9 claims. U.S. Patent No. 10,227,611, “Methods and compositions for RNA-directed goal DNA modification and for RNA-directed modulation of transcription,” covers the use of single-molecule RNA guides and Cas9 protein in any cell, with the aim of creating efficient and effective ways for scientists to aim and edit genes. ERS’ exclusive license from Charpentier is for intellectual property that is foundational covering CRISPR-Cas9 for all applications other than use as a human therapeutic. ERS’ foundational IP covers dominant and broad claims covering methods and compositions of genome editing in any organism. UC has supported commercialization of its technology through an exclusive license with Caribou Biosciences. Caribou has sublicensed the patent family of the UC including Intellia Therapeutics for certain therapeutic applications. Additionally, the technology to ERS Genomics as well as CRISPR Therapeutics is licensed. A patent with that name was the first patent of Vienna. EPO Patent No. 2,800,811, which was granted in the year 2017 provides a DNA-targeting RNA that comprises a targeting sequence together with a changing polypeptide for site-specific modification of a target DNA and/or a polypeptide associated with the target DNA. The 2nd European patent was granted last year to UC and partners. EPO Patent No. 3,241,901 covers claims that are directed to compositions and uses of a chimeric version of the Cas9 protein, most frequently related to use in the regulation of gene expression as opposed to direct editing of the genetic code itself. The patent covers use in both cellular and non-cellular configurations, including use from animals such as humans.